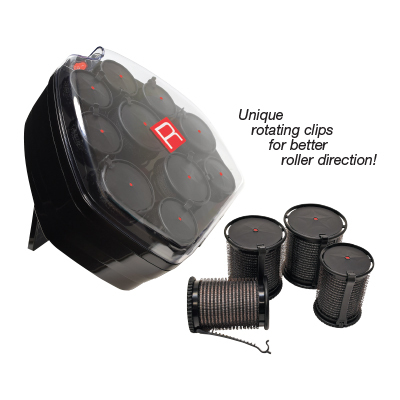 Rollers feature unique rotating clips, making them easy to use and providing better roller direction. Perfect for adding body, waves, and volume to hair. Roller unit sits flat on surfaces and has a convenient stand that angles rollers for easy access. Each roller has a color changing indicator to confirm they are ready to use. Features on/off switch and a 6 ft. power cord. 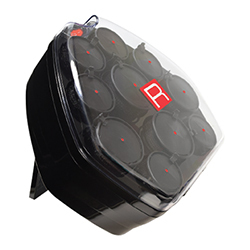 Includes 6 small, 2 medium and 2 large self-grip hot rollers with rotating clips. Set also includes 4 extra rollers: 2 small, 1 medium, and 1 large.